Instructors took their time to teach and explain everything to do it right and then correct the wrong things so you know how to correct your own mistakes. Please feel free to let students that are thinking about making the trip out here but are not sure to call me or e-mail me so I can convince them to make the trip. It was all worth it. I should have made this trip 2 years ago. This was the best thing I've ever done. I wish I would have done this years ago instead of going to college. Could have saved a lot of money! 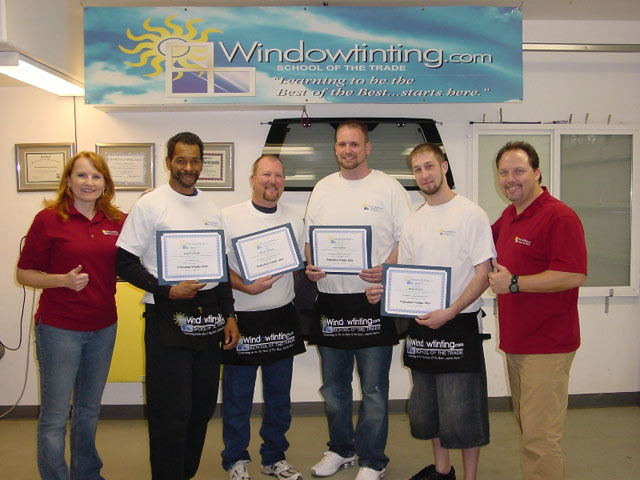 I now know that I could not have made a better choice with my decision to become a window tinter. The whole course exceeded my expectations. After years of college, I believe I found what may pave the way for the rest of my life.